Pakistan Peoples Party (PPP) Chairman Bilawal Bhutto Zardari has said that despite all odds, the party would continue the election campaign, adding that the elections would not be boycotted. Addressing a press conference in Peshawar, Bilawal alleged that pre-poll rigging is ongoing in Peshawar and the PPP is being stopped from canvassing everywhere. He said that the party workers are being pressured to switch loyalties, adding that his plane was not allowed to take off for Peshawar from Lahore. The PPP chairman further said that the attitude of the caretakers is aggressive, and warned that the elections would be controversial if the PPP was not provided a level-playing field. 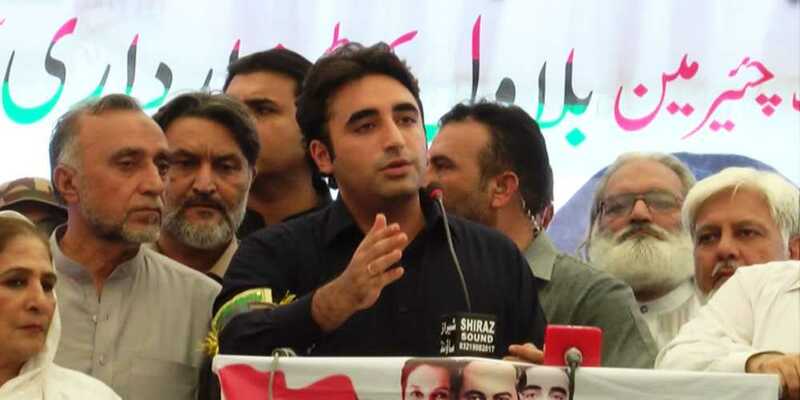 Bilawal lamented that the National Action Plan has not been implemented completely, which has resulted in the rise of terrorist incidents across the country. He said the whole nation was in a state of mourning and that a new National Action Plan was in order. Quoting his mother, Shaheed Benazir Bhutto, Bilawal said a weak democracy is still better than a dictatorship.